When we had J, I quickly realized how much more stuff we needed for day-to-day. Diapers, wipes, pacifiers, burp cloths, bottles and more were all a part of the arsenal of supplies in my diaper bag. Keeping up with everything is a whole other ballgame. I learned how important the art of labeling things was, because there are a lot of other moms out there with their own kids’ plethora of items, and it’s easy to get things mixed up. Easy to transfer to different cups,bottles,etc. We loved these so much for J that it was a no-brainer to get some for C when he was born. And now that they’re older it makes it an easy way to distinguish whose cup is whose – J’s labels are blue, and C’s are green. (The pink ones pictured above are the ones we got for the new baby!) 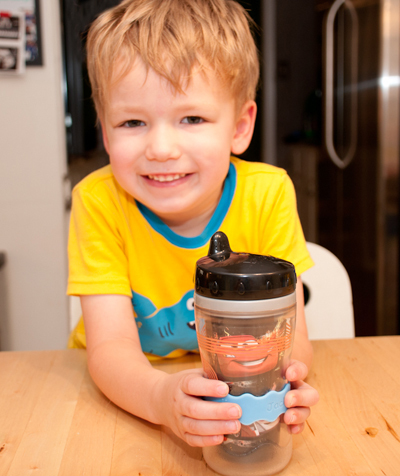 When I started taking photos of the Orbit labels we just got for the new baby, J asked me if I’d take a picture of him with his too – see, they work great on cups too! 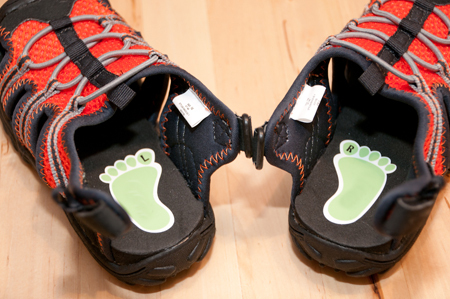 Inchbug makes a ton of other great products, too – we just got the chance to try out their Shoe Pal labels and their TagPal clothing labels as well. 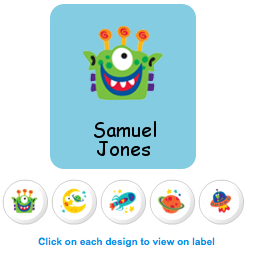 Above, you can see the designs we picked for our TagPals – the boys love outerspace, so this was perfect! 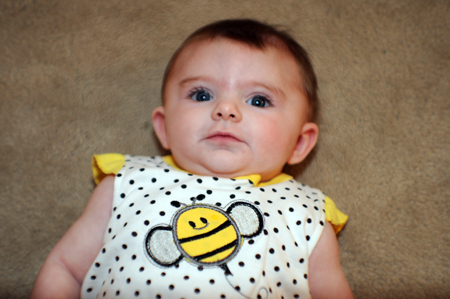 The TagPal clothing labels are an easy-to-use peel and stick option for labeling clothing with a care tag. Each label is personalized with your name and a colorful icon and is safe to put through the washing machine and dryer. 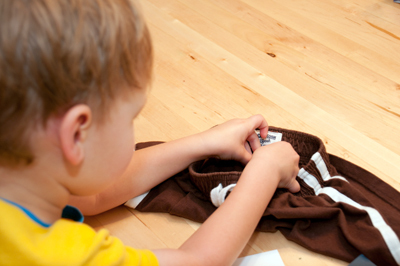 TagPals are not intended for use on clothing without a care tag. 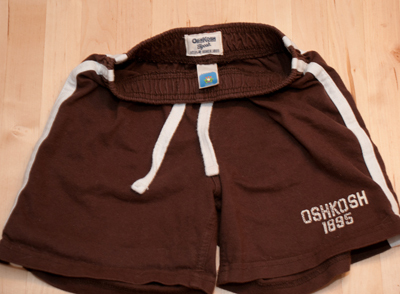 J helped me put a TagPal on a pair of his shorts – it’s a really easy process and he thought it made his shorts “cooler” to have an outerspace sticker in them. 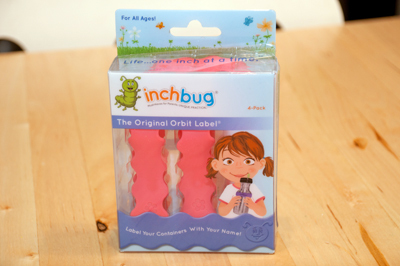 One lucky reader will win their own set of personalized Orbit Labels from Inchbug! Entries will be accepted until the end of the day (midnight Central) Wednesday, June 27. By entering this giveaway you agree to the Official Rules. 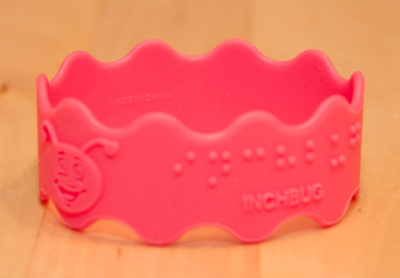 Mandatory Entry: “Like” Inchbug on Facebook and comment here letting me know you’ve done so. Please leave a comment for each extra entry – if you blog about this giveaway and get 2 entries, for example, comment 2 times. Unlimited Extra Entry Option: Leave a NEW comment on as many other (non-giveaway) posts as you like and get one entry for each comment. Be sure to let me know which posts you commented on below. Note: I received Inchbug products for review, and the Orbit Labels for the prize fulfillment are being provided as well. I was not compensated monetarily for this post. All opinions are honest and are my own.